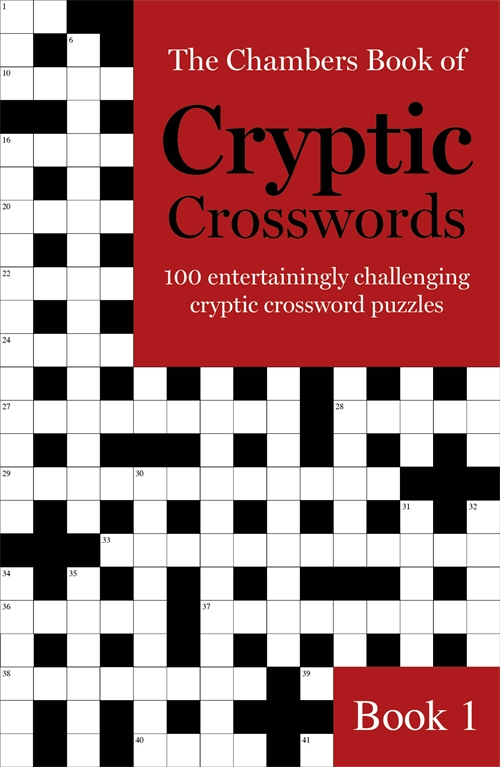 Put your feet up and escape from it all with The Chambers Book of Cryptic Crosswords featuring a ‘ton’ of cryptic challenges to give your brain a workout. In each puzzle there are one or two easy clues to provide a way in, and all the solutions, bar the odd exception, can be found in the Chambers Dictionary. No specialist knowledge is required: if you have a good grasp of the English language and an interest in words, you should be able to crack the clues. This collection is designed to provide a fair challenge for seasoned experts, but also give ‘average solvers’ a decent chance of completing the puzzles. Entertaining, fun and challenging enough to tax even the most seasoned crossword aficionado, you’ll need quick wits to go head-to-head with Chambers.